My garden is off to a very late start this year. Rain, cold temps, other obligations (grass seeding) late getting my seeds started. We are finally getting some sun and warmer night temps. The larger tomato plants are from my brother who I think starts his seeds the day after Christmas. Many gardeners started late due to the long, cold, white winter, especially in the northeast. Better late than never. Enjoy the bounty. 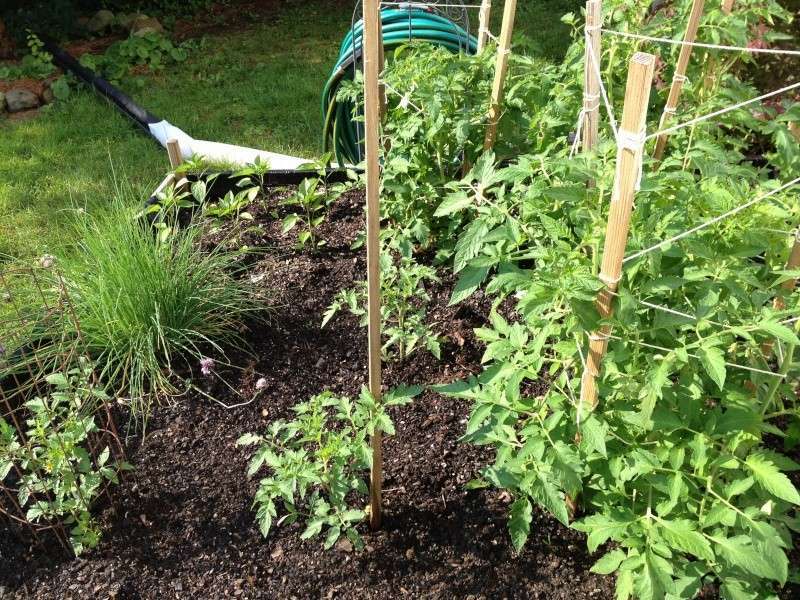 Most of my garden is planted, but for a couple of things--plus some 'succession' planting. As long as you have something to grow and enjoy; that's what counts! I think you're in good company, bbbevey. My garden isn't much further along than yours; in fact, I think mine may be behind yours. Like others have already said, the weather hasn't been accommodating, and TIME never is. bbb, your tomato plants are clearly way ahead of mine. Good job!